xScope 3: Measure. Inspect. Test. Any designer will tell you how important image sizes and spacing are to their craft -- graphics, the web, etc.. Measuring each element can take tedious time unless you have all the right tools. There are 'measuring' and 'location' tools out there, but none work better or have more bells and whistles than Iconfactory's (and Artis Software) xScope. xScope 3.0 is out today and it brings over 70 new features to its already complete pixel toolkit. xScope 3.0 (Mac 10.6 and higher) is a huge update to version 2.x with two components: a Mac side and an iOS side for the iPad, iPhone and iPod touch. If you feel a little bewildered at first with all these new features, be sure to use the useful in-app help, as it outlines everything and answers many questions. I'll cover some of the great new highlights of version 3.0. 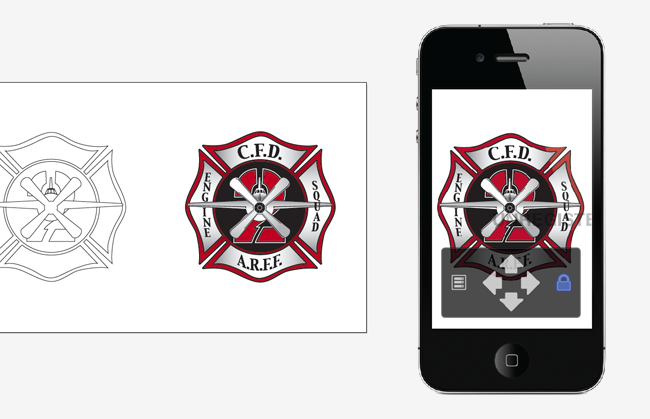 The most notable feature of xScope 3.0 is the Mirror tool. Remote viewing lets you easily view the contents of any Mac desktop window on your iPhone, iPad or iPod touch with the accompanying iOS app (via iTunes, Free). 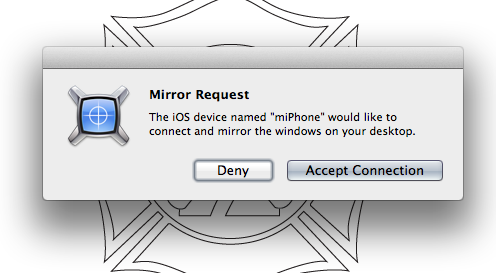 Once xScope for Mac is open, launch the iOS app and it will find your Mac over Wi-Fi and ask you to pair them together. Once paired, the Pin & Lock tool lets you move the Mac window anywhere, always staying in focus on iOS. The iOS app has a chromeless UI: there's no overlaid chrome to get in the way while you're working. Multiple iOS devices can connect and view the same window on a single Mac, which is great for demos or meetings. Back to the Mac app, the Loupe tool works via hovering your cursor anywhere on the screen and is able to collect a palette of your favorite swatches. Selected colors can be added and removed from the palette as well, and color swatch files (.ACO) can be imported or exported for easy reference. 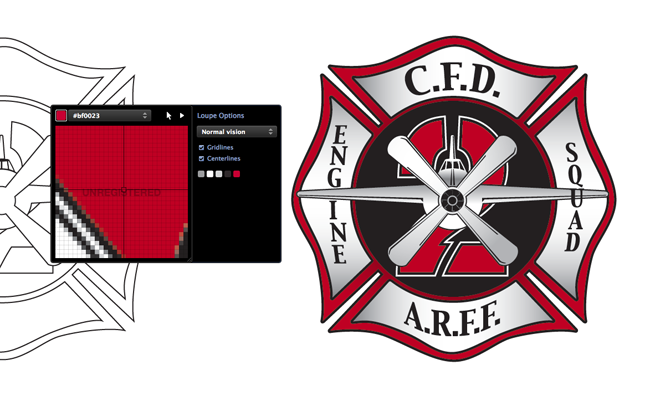 Color formats can easily be switched based on what your project calls for. In xScope 3.0, rulers now have edge snapping; holding the Control key while dragging the ruler now snaps to the edges of the onscreen content. Rulers were also redesigned to help give better usability no matter what content is being measured. 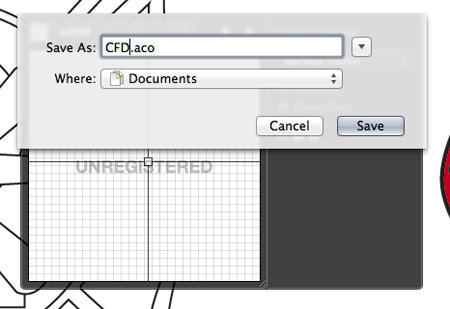 ; calipers can now be turned on via the ruler interface too. The Screens tool has platform sizes organized for iOS, Mac, Android, Windows and TV, with new resolutions including the very latest Mac and iOS models. Holding down the Control key while dragging screens now snaps to the edges of the content. Vision simulation lets xScope simulate user vision problems such as some blindness and presbyopia, and this has also been built into the Loupe tool. Like previous versions of xScope, the app has minimum visual footprint as it lives in your menubar (although it fills space up quickly with different icons) if you do not have the app open in the foreground. 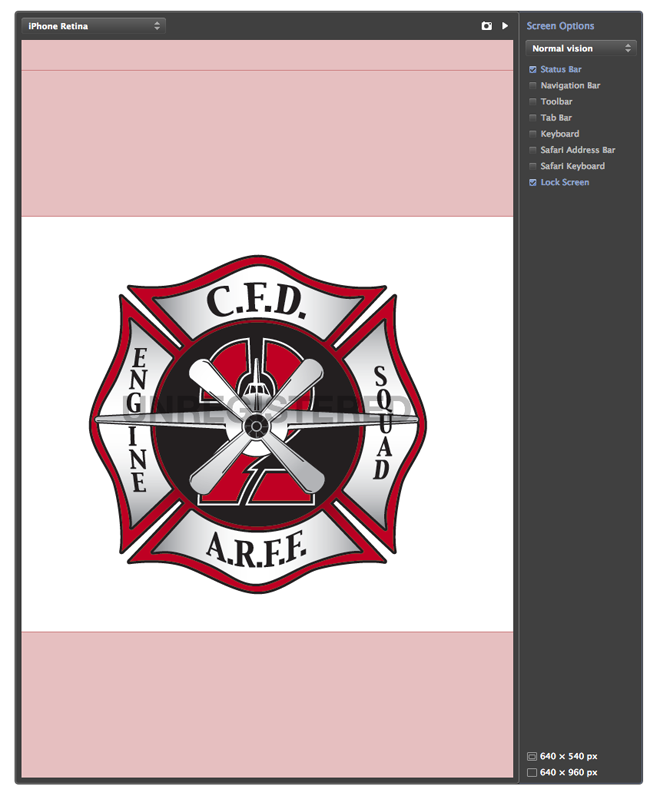 While using xScope, a designer can use the floating tool palette, key commands and the menu bar icons. 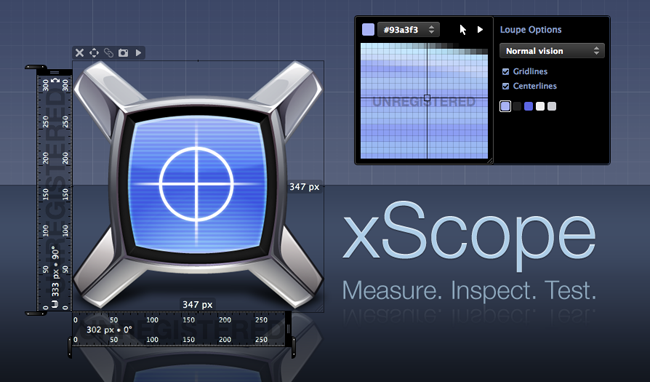 I like xScope because it feels right at home with OS X. The elements feel native and look fantastic; for designers, no matter what you design on a Mac, this tool is meant for you. It's incredibly useful, always there when you need it to make perfecting pixels a little easier. A trial version is available on the xScope site and the full version is on sale in the Mac App Store for $19.99 (reg. $29.99).